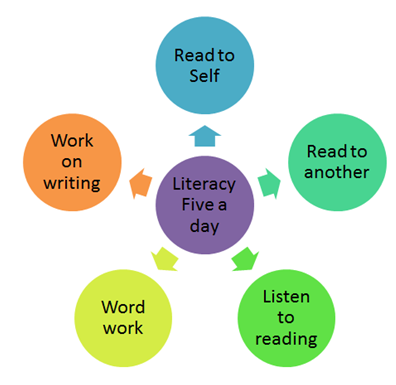 There are five main elements to literacy that should be experienced every day. The Daily Five is trademark and copyright of Educational Design, LLC dba – The 2 Sisters. Educational Design, LLC dba – The 2 Sisters do not endorse these materials or this site.